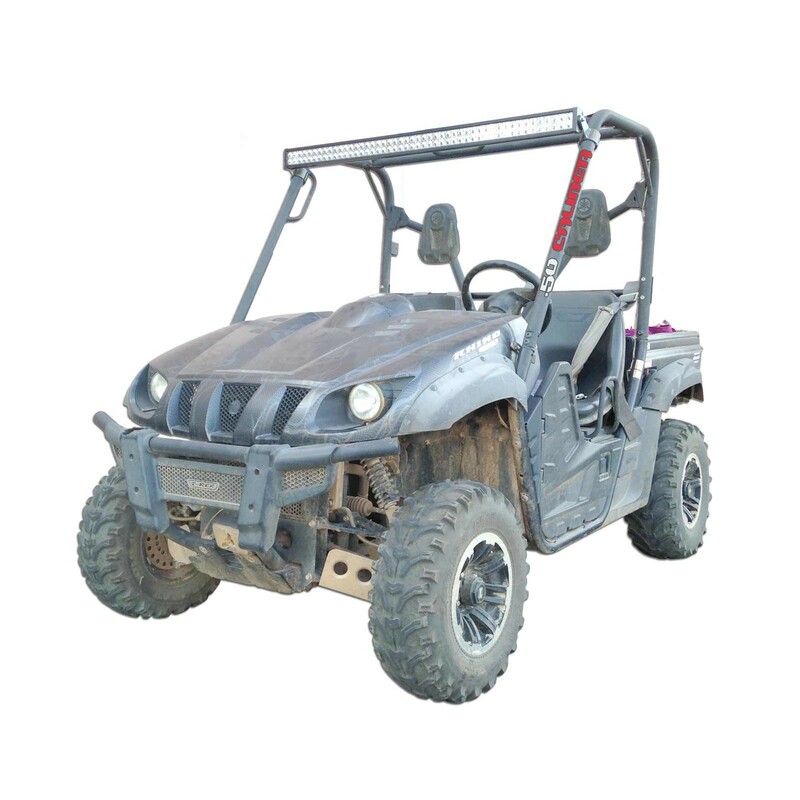 Clamp on brackets allow you to brow mount a 50" Straight LED light bar on your Yamaha Rhino. Fits both 2 and 4 seat, all years. USA made from 1/8" steel plating with a black powdercoat finish. 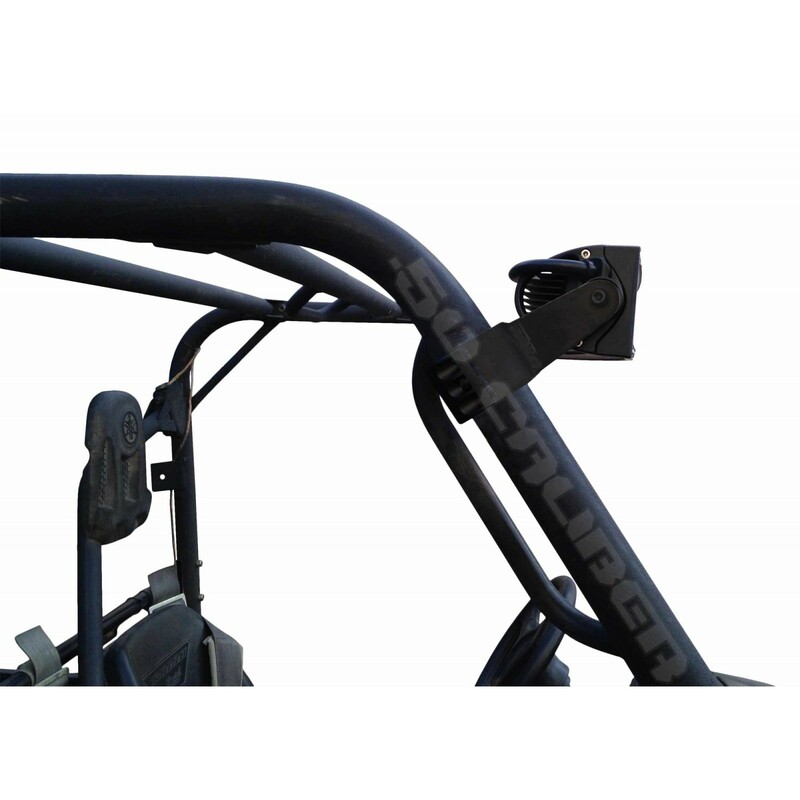 Clamps directly to stock factory roll cage. These brackets provide a very stiff, solid mounting point at the top of your A pillars for insanely powerful LED lighting.